How do I add a birthday to an Address Book entry? As someone who has both an iPhone and an iMac, I’ve become quite a fan of Apple’s Address Book utility. 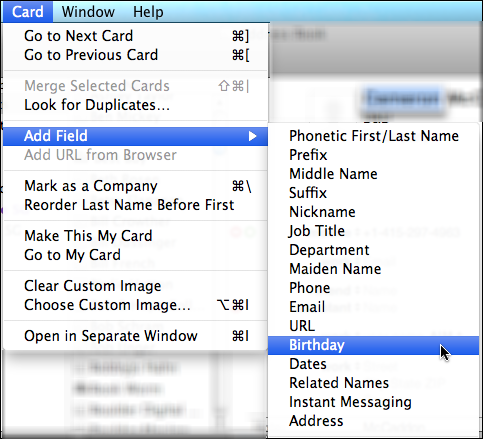 I know it can keep track of birthdays too, but I don’t know if something’s broken or what, but I never get a “birthday” field to fill in. How do I enter a birthday into someone’s Address Book entry? Turns out that there’s a secret key sequence you need to use. It’s up-down-left-shift-cmd-option-space. All at the same time. While entering a contact. Oh, and it has to be an odd-numbered day in an even numbered month. Actually, adding birthdays into the Address Book is easier than what I outline above, which is just as well because I think you’d need at least three if not four hands to have enough fingers to push all those keys at the same time! 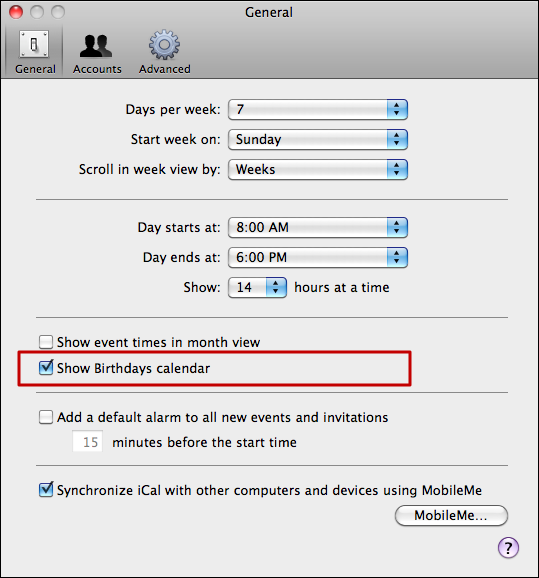 That’s right, if you include the poorly labeled “Birthdays calendar” it will actually use all the birthday fields entered into your Address Book to help you keep track of people’s birthdays! You make it sound so simple. However, many folks have found that you can’t enter the full year, e.g., 1947. How come?